Fried rice can be a wonderful thing to eat at home — especially on a cold, rainy day — though it can take some time to make it properly. This is especially true if you start from scratch and need to let the white rice sit in the fridge overnight before you fry it up. 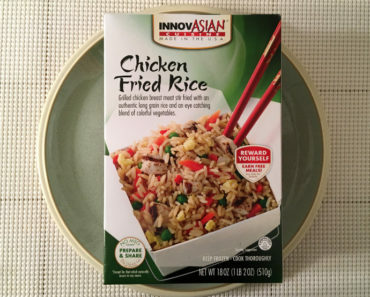 So it’s pretty convenient that InnovAsian Cuisine makes a frozen Vegetable Fried Rice that can be heated up in the microwave with almost no effort at all. This is a very simple dish to make. Simply crack open the box, then toss the bag of rice into the microwave for five minutes. It’s as easy as that. 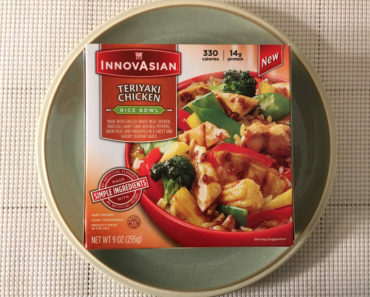 There are instructions on the box for anyone who wants to cook this on a stovetop, but we decided to just use the microwave. We were astounded at just how good this turned out. This is a great-tasting rice, and we’d say it’s very close in quality to Chinese takeout. Plus, it’s got a little bit of everything in it. You’ll find edamame, carrots, and bell peppers mixed in with the rice. Oh, and don’t forget the egg! No fried rice would be complete without a little bit of egg mixed into it, and this rice really delivers. While microwaved eggs can be a little rubbery, we found the chunks of egg in this rice to be pretty tasty. The vegetables were also delicious, especially the edamame. Everything tastes very fresh; if you served this to a friend, they’d never guess this rice was prepared in a microwave. Now, we should point out that this really isn’t intended to be a full meal. 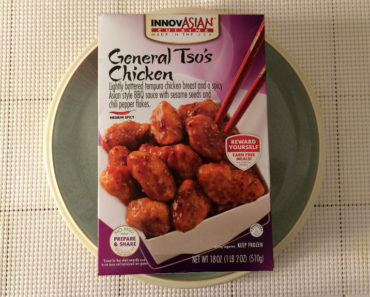 It works great as the base for some sort of protein, perhaps some chicken, pork, or even mock duck or tofu. That said, the box contains an enormous amount of the stuff. The package claims there are about four and a half cups of rice in here. Even if you skip the protein, we doubt you’re going to try to eat a whole box in one sitting. One serving, according to the box, is a cup. As a side dish, we think that’s perfectly appropriate. 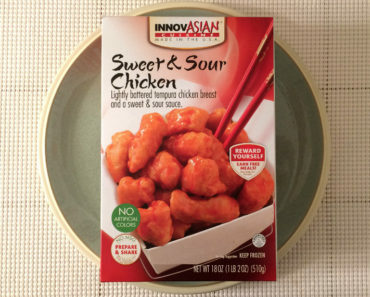 A single serving contains 150 calories (25 from fat), which isn’t bad at all. 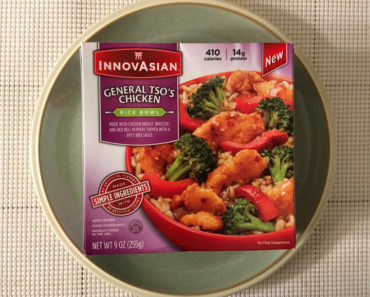 The 330 mg of sodium isn’t too bad either, though if you pair this with another Asian dish, like some General Tso’s Chicken, you’re probably going to send your sodium levels through the roof. 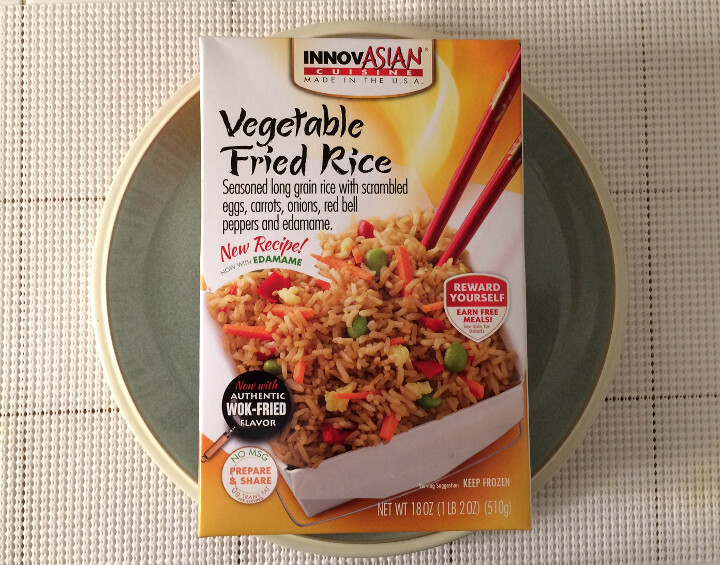 The InnovAsian Vegetable Fried Rice is a very high-quality frozen rice. 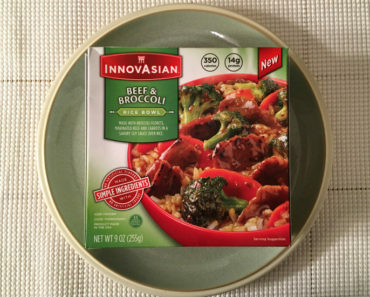 This is the sort of quality you expect from an Asian restaurant, not a boxed, frozen food. We have to admit that we’re very impressed. 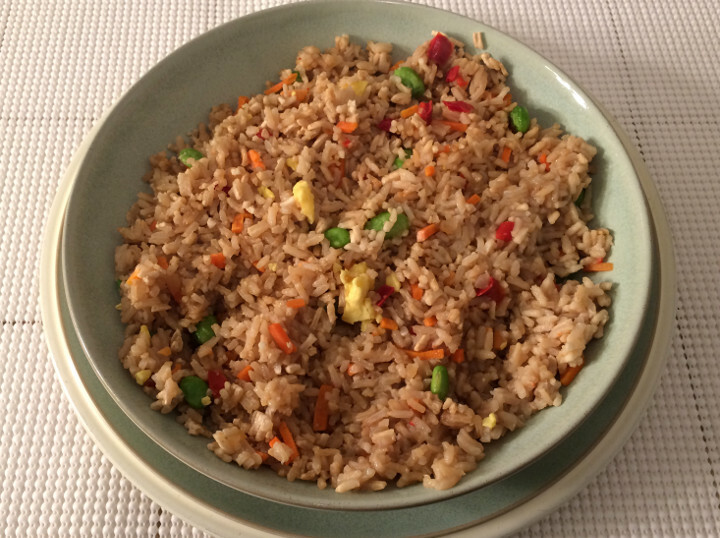 Want to learn more about the nutrition content or ingredients in this microwavable fried rice dish? Check out our package scan below.